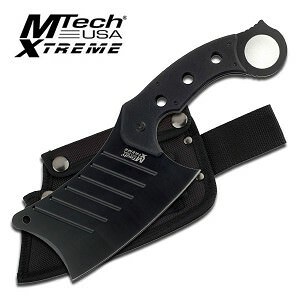 The sword features a unique design and exquisite aluminum handle grip. 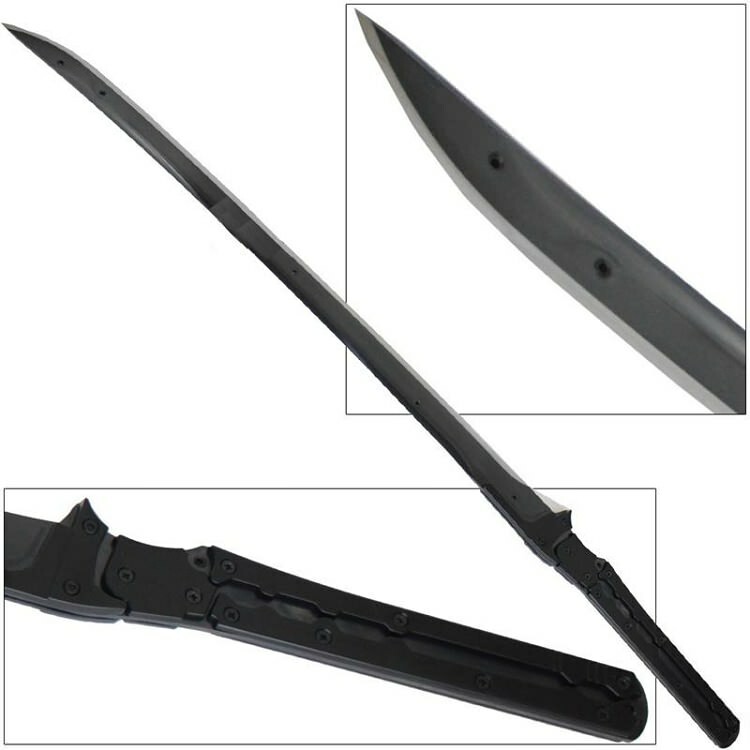 The blade is forged with high carbon steel and then quenched and hardened to provide a tough black surface layer. 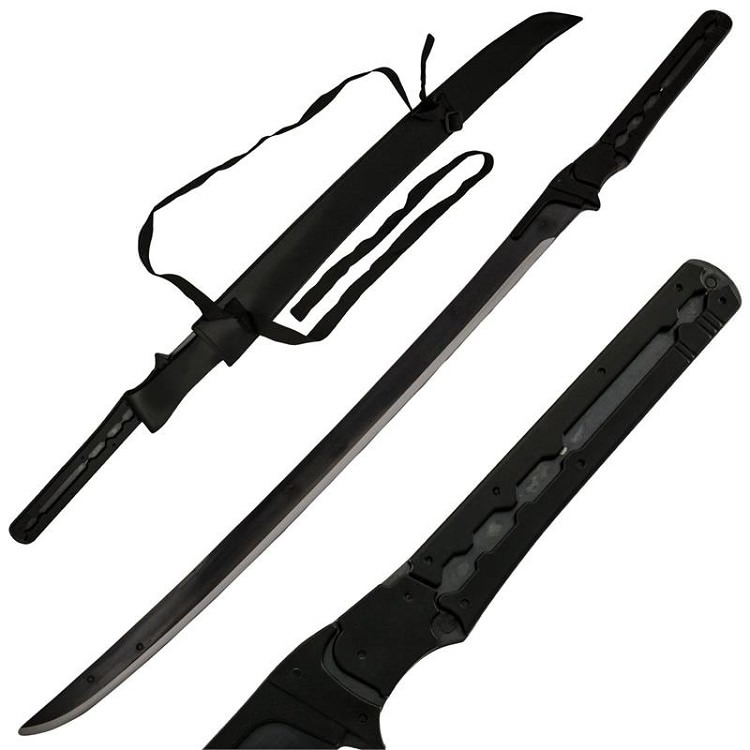 This unique sword has a full tang and the quality of high carbon steel is stronger than 440 stainless. Cut anything (or just about) with this sword right out of the box. This sword is considered functional for light cutting tasks, but not for battle-ready use.